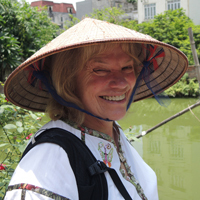 The insider advice on this page is from Wendy’s Trusted Travel Expert for Myanmar: Antonia Neubauer of Myths and Mountains. Hotels are springing up all over the place in Myanmar today. There are a large variety to choose from in Yangon, Mandalay, Bagan, and Inle Lake. 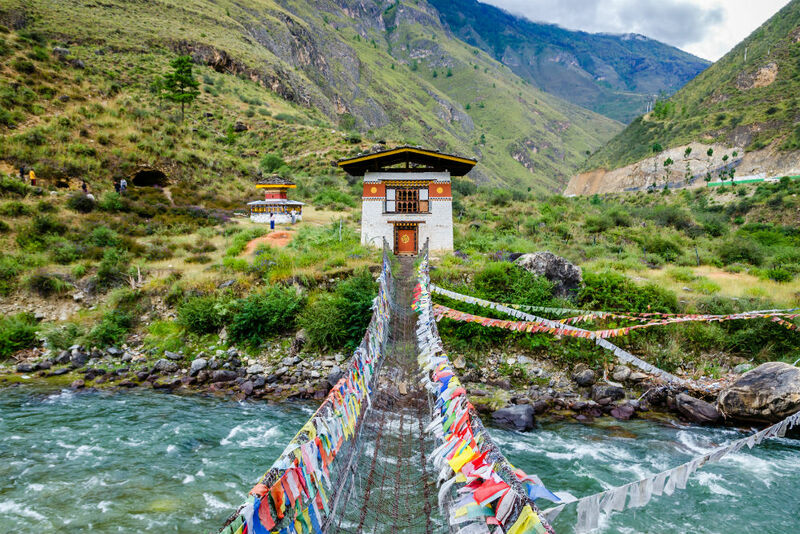 In more remote areas, one has to be content with the “best available.” The Ministry of Hotels and Tourism recently introduced an official star rating, but their standards aren’t comparable to international ones. In Yangon, the ParkRoyal Yangon is not the fanciest option, but its location right next to Scotts Market, the Sule Pagoda, and the Colonial District is great for walking and shopping, and there’s a delicious breakfast buffet. Request a room on a high floor so that you don’t have noise from the street, and ideally one facing the Pagoda. Many of the hotels near Inle Lake are positioned on the shore, some distance from any town and accessible only by boat. Since boat traffic is restricted to daylight hours, staying on the shore means finding yourself marooned at your hotel come sunset. A good alternative is to stay in the jetty town of Nyaung Shwe, the gateway to the lake, where you can wander around and try different restaurants. We suggest the new Thanakha Inle Hotel. Located right on the jetty with great views, the rooms are tastefully decorated and have certainly set a new standard in Nyaung Shwe. At the new Bagan King Hotel, located in downtown Mandalay, the owners have really made an effort to decorate the hotel very nicely, using traditional woodcarving, silks, and other textiles from the region. Rooms are small but cozy, and the restaurant and bar on the roof offer a great view over the city. In Yangon, the Belmond Governor’s Residence—a colonial-style teak mansion dating to the 1920s—has a lovely park setting, gorgeous rooms, and wonderful service. The Strand, a classic British hotel located right in the center of downtown Yangon, has recently completed renovations. All of the beautifully redone rooms are suites, the food is excellent, and the atmosphere is that of colonial Yangon. Nearby are Scotts Market, Sule Pagoda, and the River Gallery—you can’t do better in terms of location. If you’re wedded to the idea of sleeping right on Inle Lake, book one of the traditionally constructed villas facing the water at the Inle Princess Resort, so that you can watch the sunset from your bed. You won’t find Yangon’s Shwe Kaung Hot Pot Restaurant on TripAdvisor, but among locals it’s one of the most famous Chinese hot pot restaurants in town. Four people share one hot pot, consisting of a wok with two sides and two kinds of soups. Diners collect ingredients on their own from refrigerators—meat, quail eggs, mushrooms, and the like. The Moon Restaurant, located right next to the Ananda Temple in Bagan, is a gem of a vegetarian restaurant (its alternate name is Be Kind to Animals), and reasonably priced. The Inthar Heritage House on Inle Lake—designed with the culture, art, and tradition of the Inthar people in mind—is a marvelous spot for lunch. Not only a restaurant, the place is also home to a Burmese cat breeding program and a wide selection of books on the art, culture, and history of Myanmar, Southeast Asia, and the Burmese cats. The restaurant reflects the style and elegance of Inthar culture, featuring authentic traditional Inthar cuisine using seasonal fruits and vegetables from their organic garden, as well as fish and plants from the lake. For a true splurge, dine at Le Planteur in Yangon. It is fabulous, and don’t miss the bathroom—as much a work of art as the restaurant. Bagan is one of the most spectacular temple sites in Asia, comparable to Cambodia’s Angkor Wat or Indonesia’s Borobudur. 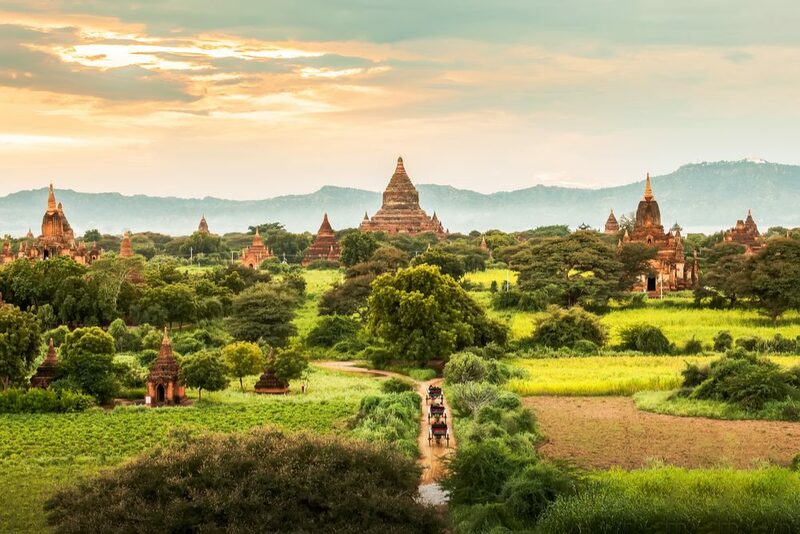 Unlike Angkor, which is covered by jungle and forest, Bagan is a vast, empty plain nestled in the curve of the Ayerwaddy River, where thousands of stupas and temple ruins extend as far as the eye can see. While other temples amaze people by their size, Bagan amazes by the vast area covered by religious monuments. Beautiful Ngapali Beach is just remote enough to not be overcrowded, but popular enough to warrant a good number of hotels. You can walk along the sand for miles, visit the local fish market and fishing villages, or ride bikes along the shore and up into the hills. Snorkeling, diving, and expeditions to mangrove swamps are also available. For unparalleled beauty, consider taking a cruise out into the Mergui Archipelago with its 800 islands, exquisite beaches, and fascinating Sea Gypsies. This area, bordering Thailand, is one of the most remote parts of Myanmar and is verging on being discovered. Go now, before it is! 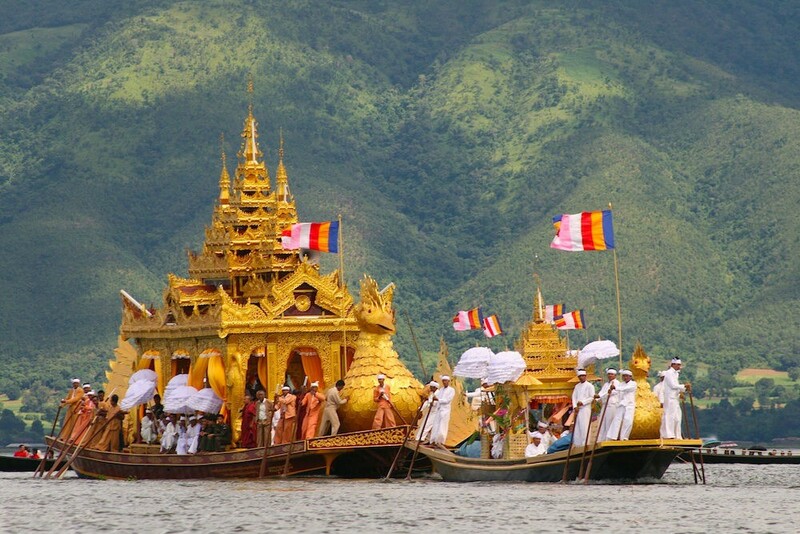 If one had to pinpoint Peter Pan’s Neverland, Inle Lake is as good a place as any. This 70-mile-long, relatively shallow expanse of water nestled among the Shan Mountains has become the home and lifeblood of the Inthas, one of as many as 135 ethnic groups in Myanmar, each with their own languages and dialects. The major highlight in Inle is exploring by boat to see local life, including a floating market, handicraft workshops, monasteries, and the Phaung Daw Oo Pagoda. New entry points into Myanmar, other than Yangon are available for those who like cross border trips that combine countries and their cultures. Try entering from Mae Sot, on the border with Thailand. This route takes you to Mawlamyaing, Hpa An, the Golden Rock, and on to Yangon. 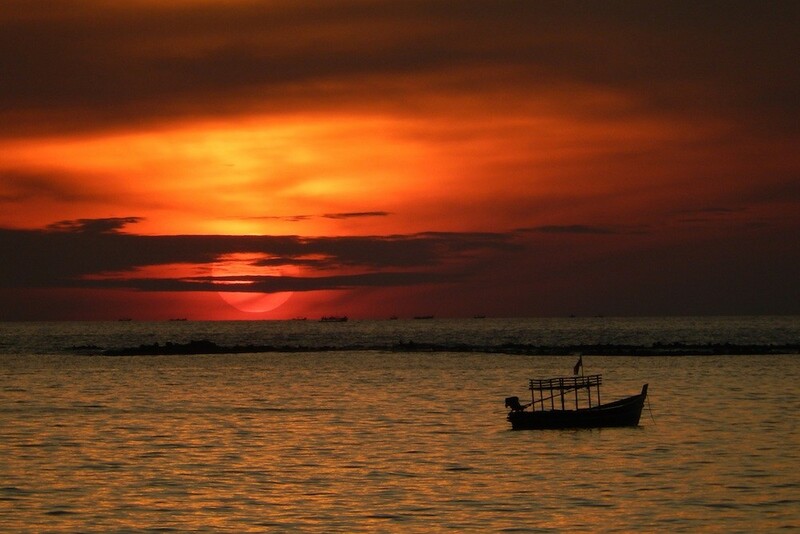 Sunset over Ngapali Beach, Myanmar. Photo courtesy Antonia Neubauer. In Yangon, skip the unimpressive National Museum, and anything more than a drive-by of the Sule Pagoda. You’re better off spending your time and money at the Botataung Pagoda (which is open on the inside, so that you can see how pagodas are built), or the Shwedagon Pagoda, the most important religious site in all of Myanmar. A little over a decade ago, astrologers (who are very much revered in Myanmar) advised the country’s military rulers to move the capital from Yangon to Nay Pyi Taw. Today, the hastily built city is the seat of government, but not a worthwhile tourist site: There is nothing to see (yet), and it is very difficult to get around. Chaung Tha Beach is dirty, crowded with locals, badly maintained, and lacks good accommodations. Kalaw, a former British Hill Station in southern Shan State, is a great starting point for easy treks. 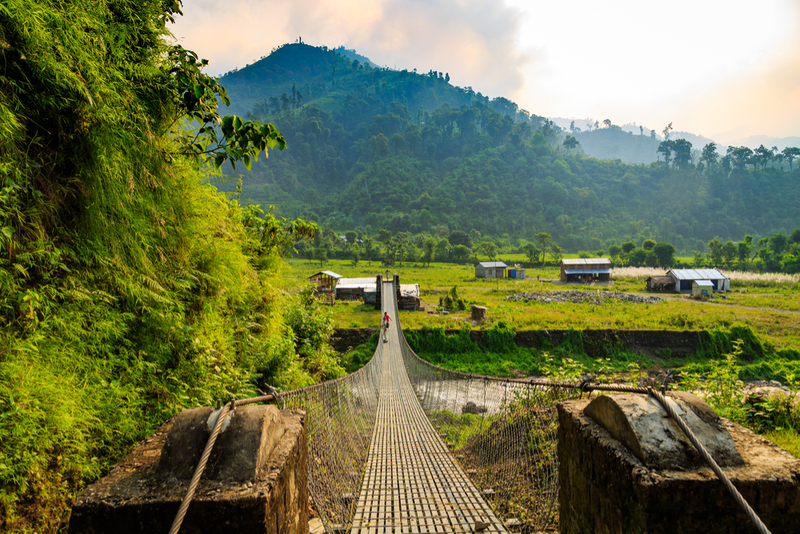 Putao, surrounded by snowcapped mountains and untouched nature, is a better option for longer treks and visits to remote hill tribes. The small, family-run Nagar Glass Factory, 30 minutes from downtown Yangon, is well worth visiting. The owner was the first to create hand-blown glass in Yangon and created a thriving business. Sadly, it was destroyed in 2008 by Cyclone Nargis, but she has since rebuilt. Bring doughnuts and sit and talk with the owner about her life, the history of the factory, and the home her family has built. Then, poke around to find a beautiful glass souvenir to bring home as a memory. Hpa An Lodge, located in Karen State, is a charming place with top-notch French food in a fascinating and rarely visited area of Myanmar, near the Thai border. 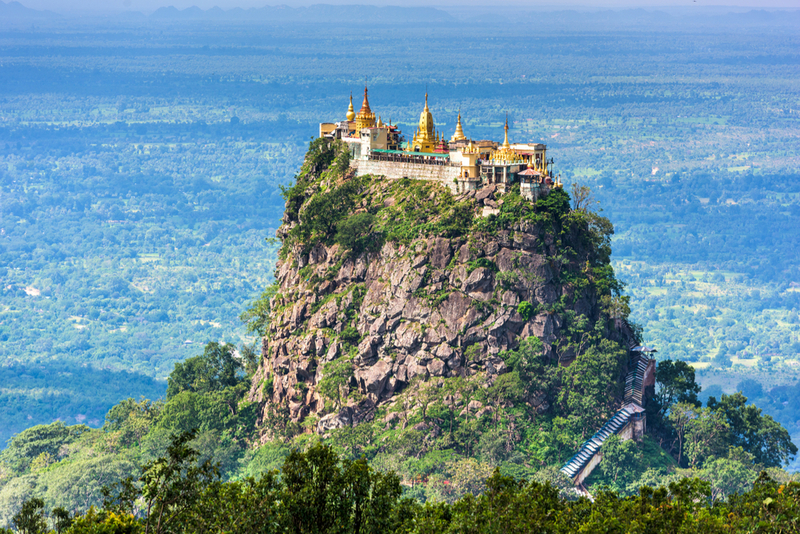 From here you can easily drive to Yangon, visiting Mawlamyaing and the Golden Rock on the way. Myanmar is the largest country in Southeast Asia—twice as large as Vietnam and approximately the size of Great Britain and France combined. Elevations in Myanmar range from sea level to 19,295 feet, making for a wide variation in climate, even within the same season. For the tropical areas below about 6,000 feet (where most travelers visit), late October to early April is best, when the weather is cooler and dry. By mid-fall, the roads are in better shape than during the summer monsoon rains (although there may still be repairs under way). Above 6,000 feet, spring and fall are usually the best times to travel; winters are also mild at elevations up to around 8,000 feet. Summer is the rainy season, when roads are muddy and both touring and trekking are not very pleasant. (On the other hand, summer is also the least expensive time to travel.) During the winter, you can expect snow and extreme weather at high altitudes. If you are visiting Thailand after Myanmar, beware of trying to bring home a Buddha statue. Whether the statue is new or old, purchased in Thailand or in Myanmar, Thai customs will not allow you to keep it. 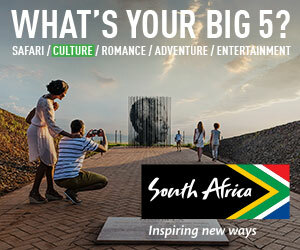 Generally, we recommend $10–$15 per person per day for guides and $8–$10 per day for drivers. In a restaurant if the service is good, I hand the waiter a few extra kyat. A lovely silk longyi (a traditional skirt worn by women and men) fitted to order is a great souvenir. Also good is the coffee grown in Shan State, which has its own unique terroir. Both are widely available throughout the country. Buy some betel nut from a street vendor; locals chew it for a mild high (akin to that of a cigarette). Dare to ride on one of Yangon’s buses—it’s a great way to meet locals, as you’ll be packed in with them like sardines! Spend the day touring the colonial heart of Yangon meeting some of the city’s fascinating inhabitants: the only shoemaker in the country making shoes for the disabled, a famous English teacher and political activist, a successful female entrepreneur, the founder of a library, and a master of the national sport of chinlone. If luck is with you, you can even spend time with a well-known writer and former assistant to a key politician in the country. End your day at the historic Strand Hotel, a landmark from the colonial era.